Came across another Swiss chocolate maker that offers factory tours to visitors. It's near Zurich, and I don't know why I hadn't come across it during my research for my previous Swiss chocolate factory post. 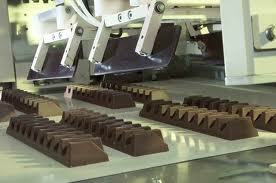 The company is Chocolat Frey in Buchs, Switzerland. They offer plant tours on Mondays through Thursdays for groups of 12 to 50 participants. The minimum age, however, is 14, so keep that in mind if you're traveling with younger children. The cost for the 3 hour tour (!) is 5 CHF for adults and 3 CHF for children 14 to 18. Their website is only in German. I would go to Switzerland just for the chocolate!! Photo Friday: It's a Bird, It's a Plane . . .